1 Why Use SEO extension on Chrome browser? 1.1.1 How to Add Chrome Extension to your Browser? Google chrome extensions are the best ways to make your work easier on your chrome browser. The are thousands of extensions you will find on the web with different categories and many features. But when it to comes to Search Engine Optimization (SEO), there are plenty of free SEO extensions SEO tools and for bloggers, which will do all the SEO research for you to display the current analytics report of your site. It shows the number of backlinks on your site. It shows (D.A) Domain Authority and (P.A) Page Authority. It shows your Global rank and your monthly traffic. Your Alexa rank, Moz rank, etc. So, using a good SEO extension on youGooglele Chrome browser will help you to increase your site performance by saving all your efforts and lots of time. Why Use SEO extension on Chrome browser? 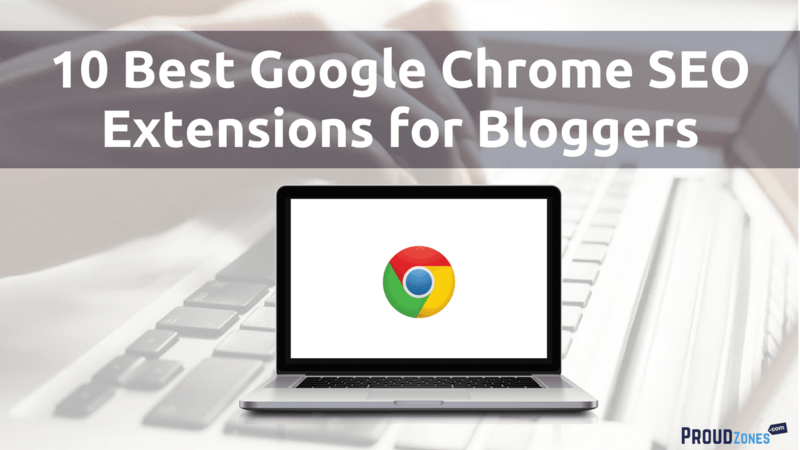 There are several reasons why you should consider using SEO chrome extension on your browser while blogging. Below are some benefits of using SEO extension on your site. You can easily check any site’s performance during your research. It will save your time & efforts by showing you the SEO analysis. It will provide you the genuine SEO analysis absolutely free without any registration. It keeps your PC clean by providing you less than 1 MB extension installation file. It will help you find the best-related niche site, while guest blogging! You will get more benefits like this after installing to your browser! Below is the list of 10 best SEO extensions of all time. MozBar gives you instant measure while viewing any webpage. With Mozbar you can quickly estimate the Page Authority (PA), and Domain Authority (DA) of any site, easy access and compare link metrics across any web, highlight keywords on a page and differentiate links by type and many more features! The part about Mozbar is, you can easily get instant page optimization detail and content suggestions for any keyword on any webpage. The Page Analytics Chrome Extension allows you to see how customers interact with your web pages, including what they click and what they don’t click. You can use the insights to optimize your website layout, improve user experience, and increase conversions. SEOquake consists of several tools you can use depending on which specific SEO attempt you’re following. SEOquake has other useful tools, including, the SEO Audit tool, the Keyword Density report, Internal/External Link analysis and even social metrics. Open SEO Stats is a good extension for Google Chrome to easily access the Alexa Rank, Compete Rank and Quantcast Rank of the current web page, in addition to getting information on backlinks, indexed pages, cached pages, socials, Whois, Geo IP location and more. Ninja Outreach Lite add’s powerful prospecting and outreach capabilities to your web browser on the fly. This extension brings powerful web browser capabilities to NinjaOutreach so that you can use it on the fly with the click of a button. It works with any OS and is completely free (though you can upgrade to a pro version with even more features). SEO report is an extension for Google Chrome done by WooRank, this SEO plugin provides a very deep SEO report for any given website. WooRank provides many SEO tips for your website to rank number 1 in Google, Yahoo, and Bing. It is a powerful tool for internet marketing professionals, designers, website usability experts, web and mobile developers and other digital professionals. When you click on the WooRank extension icon, the extension opens a popup with an SEO analysis of the website covering a range of factors, and many features. This extension measures page load time and displays it in the toolbar. Page load time extension uses web Timing API is used for precise measurement. ‘Broken Link Checker’ is an extension developed primarily for web designers, developers, and content editors. ‘Broken Link Checker’ scans your page or the whole site and provides a broken links report within a few minutes and generates a report directly without installing and running any additional program files. Then ‘Broken Link Checker’ highlights which links are functioning and which ones are broken. If your site contains at least one external link (no-follow or do-follow) with 404 error, it will be shown it the report. The report contains a link to the page where 404 error was found so that you can fix it immediately. Shareaholic is the easiest way to share & bookmark great content from anywhere on the web with Facebook, Twitter, Pinterest & 200+ other services. Shareaholic also provides a free WordPress plugin to share your contents across all major media platforms. The BuzzSumo extension requires access to all URLs because it inserts a script to extract the canonical & ogurl URL from the page. This allows us to always to fetch an accurate share count for you. How to Add Chrome Extension to your Browser? 1. Go to Chrome Web Store and open the extension you want to use. 2. Now on the right side of your extension page, click on ADD TO CHROME button. 3. 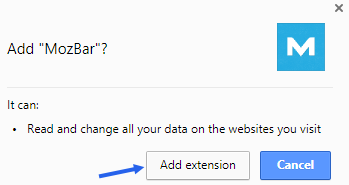 Now the extension will ask for your permission to download & install, click ADD EXTENSION. 4. Now the extension file will automatically start downloading and once it’s finished, it will automatically install on your browser. The installed extension located on the URL bar of your browser. increase your site performance by saving lots of time. Have you been using any SEO extensions? Tell me more in the comment box below.